I own a Volvo s70 t5 98. 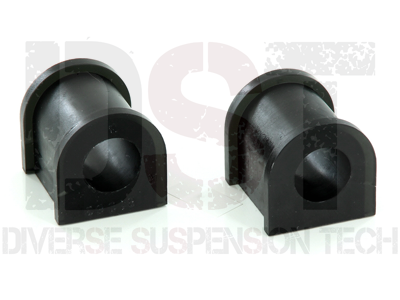 On these model Volvo vulcanized the bushing on the stabilizer bar. My bushing were shot, i had to buy the whole bar assembly for hundreds of dollars. After searching through Google for a universal bushing i found Whiteline. For 70$ i had the bushings and brackets. I want ahead cutting my old vulcanized bushing cleaning the bar and fitting the new Whiteline. Everything fits like its supposed to and the driving is way better. I feel the difference taking tight turns. Id recommend is these bushing. They are money saver! Just measure your sway diameter and go! Easy to install, I installed the heavy duty holders and the same time. An inexpensive handling upgrade. The OEM rubber ones where so soft and worn they were walking out of the holders.